Olay and Neutrogena remain the best, most affordable, wrinkle creams. Olay's Regenerist line is packed with anti-aging ingredients, while Neutrogena Healthy Skin Night cream contains retinol to smooth your skin. We also have great recommendations for those with sensitive skin and for men -- and yes, guys, your skin needs love too. Experts and users agree: Olay Regenerist Micro-Sculpting Serum is an excellent choice to renew and revitalize your skin every day. It has a complement of ingredients that result in soft, silky skin and can minimize signs of aging such as fine lines and wrinkles. Since it does not contain sunscreen, this serum is best if paired with a moisturizer with sunscreen during the day; but it can be used alone at night. With an SPF of 30, Olay Regenerist Micro-Sculpting Cream "may be the only product you need in your morning skincare routine," according to testers at Good Housekeeping. Regular users find that it diminishes wrinkles while firming and brightening the complexion. The broad-spectrum formulation provides protection from sun damage, while packing in plenty of anti-aging ingredients. The smooth, light texture makes an excellent base for makeup. Olay's Micro-Sculpting Cream is appropriate for all skin types. 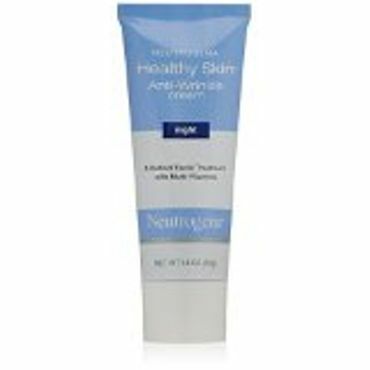 Neutrogena Healthy Skin Anti-Wrinkle Night Cream is a super star when it comes to fighting wrinkles because of its combination of retinol and other powerful anti-aging, antioxidant ingredients. It's a better compound, experts agree, than many anti-wrinkle creams costing much more. Reviewers rave about its effectiveness at reducing the appearance of mild wrinkles and fine lines over time, as well as improving tone and texture. It's oil and fragrance-free and has good emollient properties. Skin care experts suggest that everyone use a retinol cream as they begin to notice signs of aging, but not everyone can tolerate the side effects. 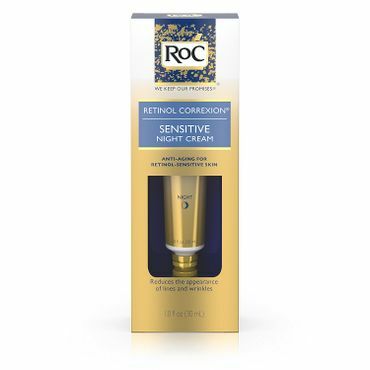 RoC Retinol Correxion Sensitive Night Cream may be the answer. In testing, this retinol cream performed as well as much pricier products, with few reports of irritation. It works well with all skin types, but if your skin is dry, you may want to follow up with a moisturizer. Mary Kay TimeWise Repair Volu-Fill Deep Wrinkle Filler instantly works to make wrinkles less noticeable. No matter where your trouble spots are -- forehead, crow's feet or lips -- experts say you'll see an immediate smoothing and plumping. It's not just a temporary fix either, the anti-aging ingredients in this product work to minimize those lines and wrinkles for the long term as well. Overall, experts say, it's a great value for the great results. 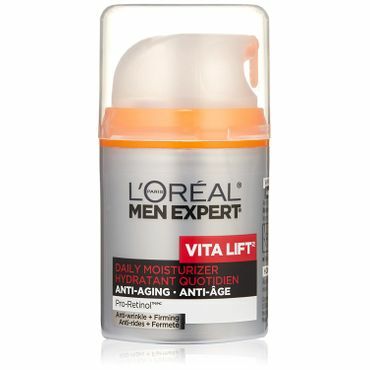 This may be sold as a moisturizer, but hundreds of younger-looking reviewers assure us that L'Oreal Paris Men Expert Vita Lift Anti-Wrinkle + Firming Daily is a powerful wrinkle smoother. They say it goes on light, absorbs well, and does not feel greasy. Many note that they have seen improvements in skin tone, sagging skin, and wrinkles. The inclusion of a 15 SPF sunscreen makes it suitable for daytime use, too. Their name makes them sound like they're just for seniors to scrub away existing wrinkles (which would be awesome, by the way), but, in fact, wrinkle creams should be a part of everyone's skin care regimen even before you start noticing actual wrinkles. A more appropriate name, and one most manufacturers use, is "anti-aging." These anti-aging products run the gamut from formulations to prevent damage that can make your skin look older, to products that help to reverse some damage you may already have. When used in conjunction with a good facial cleanser, facial moisturizer and eye cream (which we cover in separate reports), a good wrinkle cream can minimize fine lines and wrinkles, diminish age spots, and brighten your skin for better skin tone and a youthful glow. Many non-retinol wrinkle creams contain various antioxidants, which can prevent the fine lines and wrinkles associated with aging, without the irritation that many experience with retinol (retinol creams also tend to be pricier, sometimes much pricier). These products can be used during the day as part of your morning skin regimen. They usually contain ingredients that plump the skin, minimize skin damage, and even, in some cases, reverse it. That difference can be subtle -- there is no magic potion that will make your wrinkles disappear overnight, or prevent all wrinkles -- but if you use them consistently you should see an improvement. Retinol is the crème de la crème (or cream, or serum) when it comes to anti-aging, but it can take some trial and error to find the one that works for you. For example, if you really think a retinol cream is right for you but you have sensitive skin, find a retinol formula targeted for sensitive skin (and we have a top recommendation in that category). If you have deeper wrinkles, look for a dropper or pen-type applicator that makes it easier to directly apply the product just where you need it. Believe it or not, these products really do work to provide instant smoothing of fine lines and wrinkles. They're not comparable to injection-based treatments like Botox or dermal fillers that you get at your dermatologist or aesthetician's office, but they can quickly smooth your complexion and make wrinkles less noticeable immediately. The best of these products also contain ingredients for longer-term smoothing as well. Men may not be the main target market for wrinkle creams, or any skin care product for that matter, but it's just as important that they take care of their skin for the same reasons women do -- to look and feel younger and to radiate a healthy glow. All of the products in any of our skin care reports can be used by men as well, although some fragranced products are probably best suited to women. There are only a few expert sources for skin products for men, but we have some recommendations based upon our research and a little bit of common sense. Experts agree that price is no indicator of the overall effectiveness of wrinkle creams. In fact, many of the best wrinkle creams can be found at the drugstore -- and we encountered more reviews for these affordable brands than we did for expensive department-store wrinkle creams. Although many of those pricey products feel more luxurious on the skin, experts say the vast majority work no better than budget formulas with the same active ingredients. Some wrinkle creams can be worn all day, but most are designed to be applied at night. That's because they typically don't contain sunscreen and some of the most powerful ingredients that they do contain, such as retinol, easily degrade in daylight and can make skin extra sensitive to the sun. Still, there are wrinkle creams that people put on in the morning and wear all day, under makeup or another moisturizer or both. Remember, experts say you should always wear a moisturizer containing sunscreen on your face during the day to protect your skin from the aging properties of the sun and other types of environmental damage -- otherwise, you're negating the effect of the wrinkle cream. "The Best Anti-Aging Skin Products"
Over the past couple of years Good Housekeeping has put a number of wrinkle creams to the test -- both in the lab and on the faces of testers. Products that did well in both metrics are named the best of the bunch, and that was very helpful to us in making our decisions. And, as always, Beautypedia, run by beauty products expert Paula Begoun helps to narrow -- or sometimes widen -- the field even further. To provide even more perspective, we turned to beauty product retail sites like Ulta, Makeup Alley and Sephora. These specialty makeup retailers are invaluable in gauging real-world results from these wrinkle creams. And, because so many of our top choices are available at drugstores and large retailers, feedback from customers at places like Walgreens, Walmart and Amazon (though see Our Sources for a caveat regarding some wrinkle cream reviews at Amazon) often offer a look at how more typical users of some of these products react to their performance and price. There are few over-the-counter wrinkle creams that get the kind of praise that Olay Micro-Sculpting Serum (Est. $21 for 1.7 oz.) does. 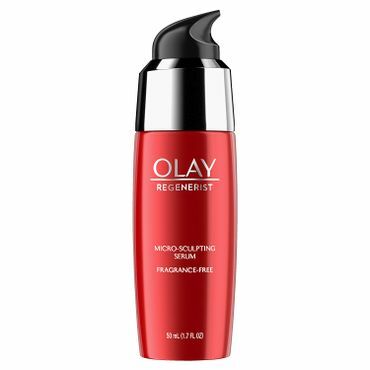 The Olay Regenerist line is well-respected by experts for its effective, beneficial formulas, and the Micro-Sculpting line is no exception. At Good Housekeeping, it earns a Seal of Approval for its ability to hydrate and smooth skin, as well as for its lab-proven anti-aging properties. As with all serums, because it doesn't have any sun protection factor, it's best used at night or as a base for moisturizing creams or makeup. Olay Micro-Sculpting Serum gets a perfect 5-star rating from Paula Begoun at Beautypedia. She notes that, "With each use your skin is treated to a helpful amount of the cell-communicating ingredient niacinamide, skin-identical glycerin, and a cadre of other anti-aging ingredients, including peptides, antioxidants, and more cell-communicating ingredients." She also praises how well it brightens skin tone. Users say Olay Regenerist Micro-Sculpting Serum makes their skin look and feel hydrated, and, over time they can see improvements in firmness, smoothness, and overall skin tone. It glides on skin and covers very well without having to use a lot, and is reported as feeling "lightweight and silky" even under makeup or a facial moisturizing cream. Good Housekeeping's assistant beauty editor agrees, saying it, "Wears well under makeup without pilling or melting off during the day." However, because it is so light, those with very dry skin may need an additional layer of moisturizer even at night. We recommend some good choices in our separate report on facial moisturizers. Unlike many anti-aging creams, Olay Regenerist does not contain retinol, which is a proven wrinkle-fighter. However, that works in its favor as the omission of retinol, plus its lack of fragrance, make it suitable for even the most sensitive skin. Many users say this is the only product they can use that does not make them break out or cause irritation or allergic reactions. Estee Lauder Perfectionist CP+R Wrinkle Lifting Serum (Est. $100 for 1.7oz) is another over-the-counter anti-wrinkle serum that gets raves from experts and users. Yes, it's pricey, but it gets rave reviews across multiple sites such as Macy's, Sephora and Nordstrom. Amazon carries it as well, and the prices line up with what we see elsewhere, however, the ratings at Amazon are lowered by reports of counterfeit products. We have no way of verifying or refuting those reports, other than to suggest that you should be sure to buy from a seller (Amazon does not sell this themselves) with top user feedback to ensure you are getting the real thing. So, moving on from that, Begoun gives Estee Lauder Perfectionist CP+R Wrinkle Lifting Serum a perfect 5-star rating, calling it, "...a formidable, ultra-silky serum to consider in the battle against signs of aging." It's loaded with ingredients that will repair and improve the look and feel of your skin. Many users say they have used Estee Lauder Perfectionist serum for years and that they have seen their lines and wrinkles improve. Quite a few say they often get comments on their beautifully smooth skin. Many who have spot-specific wrinkles -- such as crow's feet, nose crinkles or smile lines -- say they've seen a noticeable improvement over time. Even immediately, some say, they notice softer, more hydrated skin, although Begoun says Estee Lauder Perfectionist is not a good choice for dry skin as it's not as emollient as some. Like Olay, Estee Lauder Perfectionist does not contain retinol or fragrance so it's a good choice for sensitive skin. Because it contains no sunscreen, it should not be used as a daily moisturizing lotion unless it's used under an SPF-rated product, such as a daily facial moisturizer. However, many users say they use it day and night, layering it under other products. Boots No7 Lift & Luminate Night Cream (Est. $25 for 1.6 oz.) is another top finisher in Good Housekeeping's roundup. It was the best performing non-retinol product in the lab, with "impressive scores for firming, moisturizing and improving spots." Consumer testers found success with it as well, saying the improvement in the appearance of their skin was noticeable to family and friends. Regular users like Boots No7 too, with hundreds of reviewers weighing in at various online retailers to say they see a visible difference in their skin, even when other products did nothing. However, Boots No7 Lift & Luminate Night Cream earns only a 2-star rating at Beautypedia. While Begoun acknowledges that it makes skin feel "smooth, silky-soft, and beautifully hydrated," and praises its good mix of ingredients, she dings it for containing fragrance -- a serious concern for those with chemical sensitivities. It's also packaged in a jar instead of a more sanitary pump-style dispenser. Dipping your fingers into a jar lends itself to the risk of contaminating the ingredients. Still, many people prefer jar packaging for its convenience, and if you wash your hands before applying and have no sensitivities to fragrances, we highly recommend this product -- it's a great performer at a not-too-bad price. At a fraction of the price of any of the other over-the-counter wrinkle creams in this category, but just as popular with users, Eucerin Q10 Anti-Wrinkle Sensitive Skin Creme (Est. $10 for 1.7 oz.) is also praised by Begoun for its "well-documented antioxidants in a light yet creamy base formula." However, she gives it only two stars because of its packaging -- it comes in jar form only -- downsides that we discuss above. However, users on the Beautypedia site disagree, giving it a perfect 5-star rating. Eucerin products are perennially popular, and if you store and use this properly, it could be a great budget choice for everyday skin care, especially if your skin is very sensitive or very dry. Eucerin Q10 does not contain sunscreen, so is best used under an SPF containing moisturizer. Retinol or other antioxidant compounds.